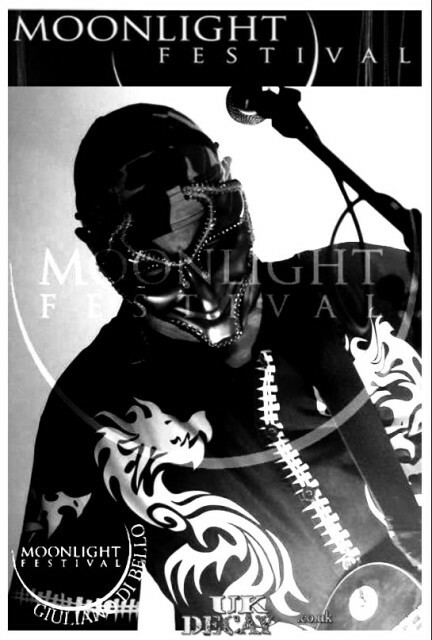 More info at Moonlight Festival website. 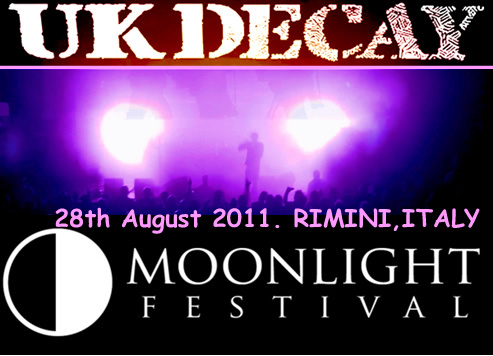 here..
UK Decay at the recent Moonlight Festival....more stuff to follow..
Just to summarise , great gig, great performance, great Festival! by your own links, please contact us! was time to leave for the airport. Then an hour and a half drive to the venue, for the soundcheck. or so wait before they were ready to soundcheck. Soundcheck done by 5pm, arrive at Hotel at 5.45pm, booked in. Rock cafe place in San Marino of all places - for a cooked vegetable Chilli. perform, we returned to the venue. all kinds of clothes, CD's Italian hotdogs etc etc. a quarter show. Decay opened with a very special 'Unexpected Guest'! the dying echoes of For My Country. By 3 am everything repacked. 8.30am - arrive back in London. 11.30am, arrive back at home!